How to manufacture durable aluminum cases? Nowadays the quality,price of aluminum cases are different and varied in marketing.How to choose a durable rugged aluminum case body?It is related to the material of the aluminum cases.Aluminum case is mainly aluminum and aluminum alloy material for the skeleton, plywood, MDF, ABS, etc which for the panel,and then the handle, lock, mouth, three links as the combination of aluminum case for the case . Only in strict accordance with the national and industry standards can create out of the aluminum cases, which conforms to the design of a reasonable structure, professional workmanship and meticulous, strong load-bearing capacity, strong and durable, nice and so on. Therefore, when we buy aluminum cases, we must buy from the regular channels, and carefully check whether the purchase of aluminum case is in line with national and industry standards or not. RK are professional in manufacturing and marketing flight cases in China, We make custom cases in a variety of styles & colors for 16 years. 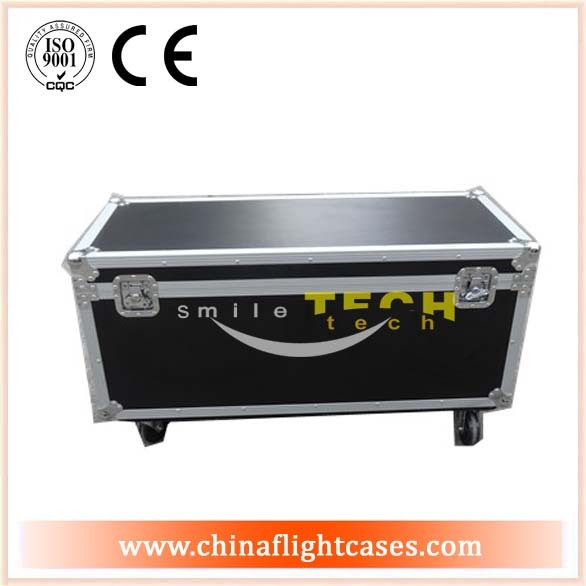 At the last,our par can flight case is making a sales promotion,contact us for the detail.